Published Works - Thank you for visiting! 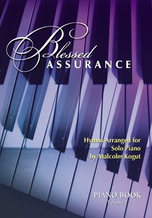 GIA's venerable Psalms for the Church Year series has a fresh face with this new volume from Malcolm Kogut, who brings his gift for melody and his comfortable jazz-tinged style to this important new collection of psalms. Malcolm fills some repertoire "holes" with these settings. He has set Psalm 47: "God Mounts His Throne to Shouts of Joy" for Ascension, and Psalm 45: "The Queen Stands at Your Right Hand" for Assumption, along with a mix of other common and lesser-known psalms. Using primarily ICEL refrains and several Grail translations, this volume is a worthy addition to the Psalms for the Church Year series. And, as with the other volumes, it includes reprint boxes of all refrains and a liturgical use index. 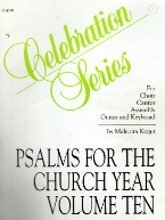 17 psalm settings for use at various times through the church year. Liturgical use listing provided. Reprintable refrains for assembly included. 9 arrangements for solo piano for use during Christmastide. Piano Reflections II Twelve arrangements and original compositions for solo piano for general use: BUNESSAN - Chant - Holy, Holy, Holy - Hymn - Lament - Perpetual - PICARDY - Prelude - Psalm - A Quiet Place - We Gather Together - Wedding Song. 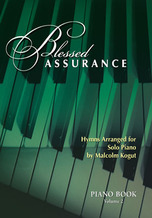 Malcolm Kogut's original piano score has been artfully re-crafted for handbells. The steady rhythm pushes this piece from a simple medieval-like melody into a richly textured fabric of sound. The parallel harmony beckons the listener to an earlier time and place. 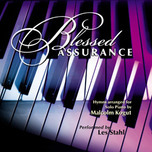 A fine collection of solo piano arrangements of favorite hymn tunes. 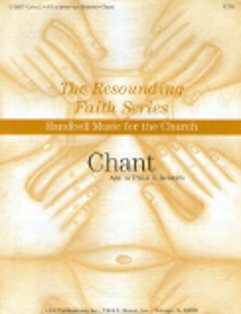 Volume 2 includes O Come, O Come, Emmanuel; How Can I Keep From Singing, and many more!